Nokia X2-01 mobile phone specs clearly indicates the Nokia Art of manufacturing cost effective and low budget phones for its mobile phone users. 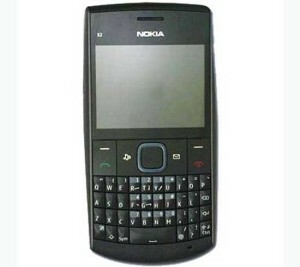 X2-01 nokia phone support fast communication along with social networking websites. X2-01 phone release date is expected to be last quarter of this year, 2010. As the device belongs to X series of nokia phones, therefore emphasis on music is obvious as Nokia X2-01 is incorporated with FM radio, Ovi Music service and media player. Also integrated with the communication apps like facebook, where users can directly update their photos and lots of other things. X2-01 technical review specifications include Apps and features that are packed with high tech mobile technology. The phone comes with 119.4 x 59.8 x 14.3mm dimensions and weighs 107.5g. Nokia X2 comes with a 2.4 inches TFT screen with a fully QWERTY keyboard, support external memory up to 8GB, and also comes with a VGA camera with Video recording. Also Support 2G network connectivity along with GPRS/EDGE data connectivity support. Nokia X2-01 feature includes messaging features like SMS, MMS, Email, browser includes WAP 2.0/xHTML, HTML and also expected to be launched with different colors like Red, DeepGrey, Silver, Lilac, and Azure. Nokia X2-01 mobile phone specs and incorporated features really compensate its low price. Nokia X2-01 price is expected to be around €80 excluding operators subsides and local taxes. The Nokia phones announced two low end phones the Nokia C2-01 and the Nokia X2-01, devices in the mobile market loaded with high tech features and functionality. soundb quality is really gud !! Nokia has really set the pace in making affordable mobile phones. The Nokia X2-01 will make your life more enjoyable with its exciting connectivity features.